Laura â€œMickeyâ€� Michele Demorest Neiman, age 59, died after a lengthy illness on Tuesday, July 16, 2013 at Sanford Hospital in Sioux Falls, SD. Born in Utah on November 18, 1953, Laura also lived in Wyoming and Colorado before settling in South Dakota. She worked at the Olive Garden in Sioux Falls until retiring in 2008. She was an avid quilt maker, loved crafts of all kinds, and especially loved spending time with her grandchildren. Survivors include companion, William Decker of Sioux Falls; five children, Sheila (William) Levesque of Sioux Falls; Dennis (Barbara) Neiman of Sioux Falls; AnnaLee Neiman of Gregory; James Neiman of Sioux Falls; and Michael Neiman of Sioux Falls; a sister, Cinda Demorest; two brothers, George and Fred Demorest; fourteen grandchildren, Devin, Christopher, Natasha, Donovan, Autumn, Nicholas, Raven, Jason, LauraLea, Caleb, Sophia, Carter, Emma, and Payton; one great-grandchild, Aubri; and numerous nieces, nephews, and family friends. 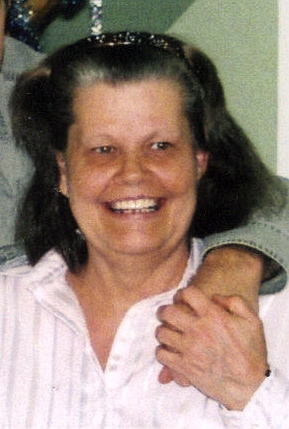 Laura was preceded in death by her parents, LeRoy and AuraLea Demorest; brother, LeRoy Demorest; sister, Susie Decker, and two infant grandsons. A private service will be held Friday, July 19, 2013.